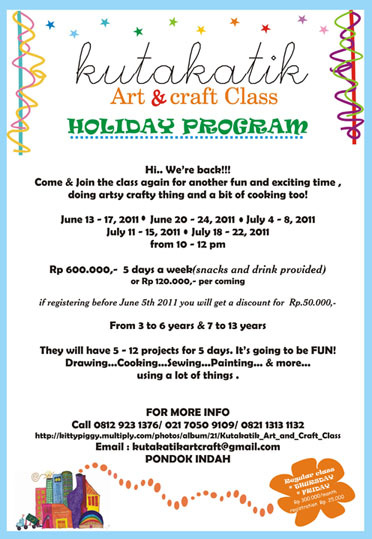 This is Our Holiday Program! It’s a fun class for kids to explore the art… They will be using a lot of stuff. Yarns, dry leafs, paper bags, vegetables, beads, paper plates, and lots more… So, what are you waiting for??? It’ll be fun! Drawing, painting, cooking, decorating, crafting, any a lot more. Using all kinds of media. Old stuff, new stuff.